Confession time. 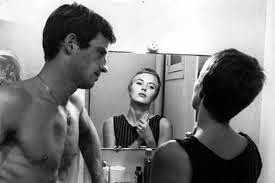 Watching Breathless was my first foray into the French New Wave movement. For a critic, it is embarrassing to say that it has taken me this long to watch one of the films of Jean-Luc Godard. Nor have I seen anything of Francois Truffaut. Both Godard and Truffaut are considered pioneers in this groundbreaking approach to filmmaking. 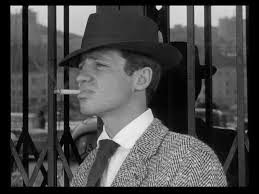 From the very beginning of Breathless, you are immediately in tune with the character of Michel Poiccard (Belmondo). He is living in the moment, cigarette in his mouth, and calculating his next plan of attack. He proceeds to steal a car and drives out into the countryside. 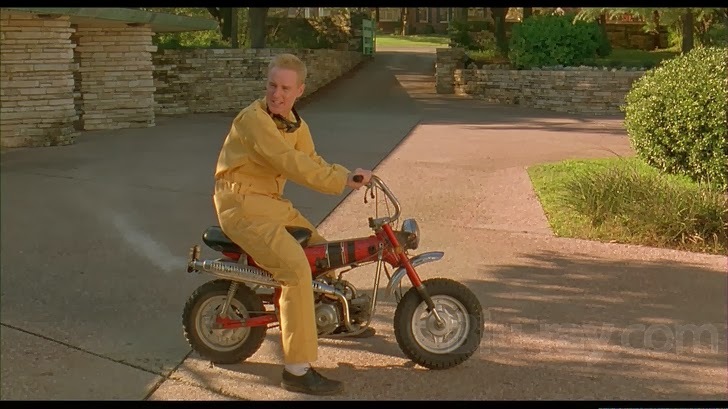 It’s not long before a cop tracks him down for speeding. Michel sees only one way out of his latest predicament and shoots the officer after being pulled over. He ditches the stolen car and hails a ride to Paris. In Paris, he steals money from an actress friend that he knows and tracks down Patricia (Seberg) on the streets of the Champs-Élysées. 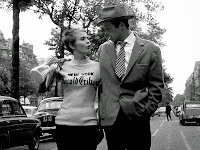 She is his “New York girl” who is currently spending time in Paris working as a journalist and selling copies of the New York Herald Tribune. She is surprised to see him there, but he tells her that he has enemies there and that someone owes him money. She seems to be clueless about his past and has no idea that his picture is posted in the paper for being the cop killer. He continues to seduce her as he bides some time while hiding from the cops. This naturally involves more car and money theft and deceitful ways of lying so she doesn’t catch on. The film rests primarily on these two characters. Belmondo is perfectly cast as Michel. He is unconventionally good looking with an extremely cut torso. He doesn’t have that look you would associate with a killer or someone that doesn’t think twice about knocking someone out in a public bathroom. Michel has a fascination with Humphrey Bogart and attempts to be as suave and charming as his hero. He is never seen without a cigarette in his mouth often using the last of one to light another. At the same time, he is whiny and immature when he doesn’t get his way. Jealousy sets in quickly when he catches Patricia getting cozy with her editor. She also plays hard to get with him as he attempts to persuade her into letting him spend the night. Jean Seberg was quite young and fairly inexperienced when she signed on for the role of Patricia. She seems to teeter back and forth on wanting to be independent but also wanting to feel loved by him. There is an underlying tone of depression that resides in her causing this back and forth emotional ride she forces on Michel. I never got a clear answer on where she is at in life. Maybe that was Godard’s point with her. She seems more mentally unstable than Michel does yet he is the one that kills people for some extra cash in his pockets. You always hear about the French New Wave and how ground breaking it was at that time. As you watch Breathless, its cinematic achievements may not be as apparent as it doesn’t necessarily feel any different than your average indie film from an up and coming filmmaker. Godard and some of his fellow colleagues were film critics before they turned to directing. They became increasingly dissatisfied with the quality of French cinema at the time with its emphasis on grand and polished craftsmanship. Breathless was Godard’s first film and he threw out very conventional ways of moviemaking. In one of the special features, it is stated that “This was the New Wave: shooting among the crowds in the street.” That is exactly what Godard had in mind. There was no lighting, no sound, and he had a very bare bones approach to it. There were no dollies used for easy camera work. Cinematographer Raoul Coutard shot the entire film on a hand held camera while sitting in a wheel chair or other cart-like contraptions. They shot very long uninterrupted takes which later resulted in the use of “jump cuts” which are very evident as you watch the movie. The jump cuts were conceived of in the editing room as a way to keep up the pace and cut down on the time interval in each scene. Even Godard’s approach to the script was against the norm. Before Godard came onboard, Truffaut had written a treatment of the story and worked on it with Claude Chabrol. They gave Godard the treatment after they were able to receive financing to get the film made. Godard proceeded to write the dialogue as they were filming it with scenes being written the morning that each scene was going to be shot. 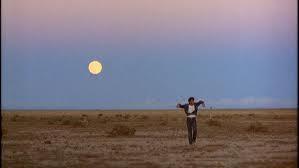 Belmondo accepted the part of Michel based on the rough outline and only learned of Michel’s adventures as filming commenced. The three-disc Criterion blu-ray release is bursting with special features devoted to the film, Godard, and French New Wave. The high-definition digital transfer is approved by director of photography Raoul Coutard. We have archival interviews with Godard, Belmondo, Seberg, and Jean-Pierre Melville. Interviews form 2007 with Coutard, assistant director Pierre Rissient, and documentarian D. A. Pennebaker. 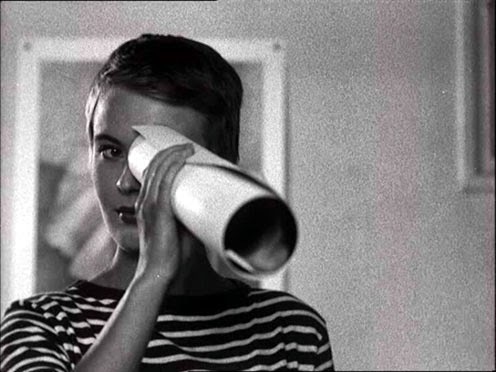 There are two video essays, one on Jean Seberg and another by critic Jonathan Rosenbaum’s on Breathless as film criticism. Chambre 12, Hôtel de sued is an extensive eighty-minute 1993 documentary by Claude Ventura and Xavier Villetard that traces the filming locations and has interviews with various cast and crew. Godard and Belmondo’s short film Charlotte et son Jules from 1989 is included. One of my favorite Criterion features is the booklet that is usually included. 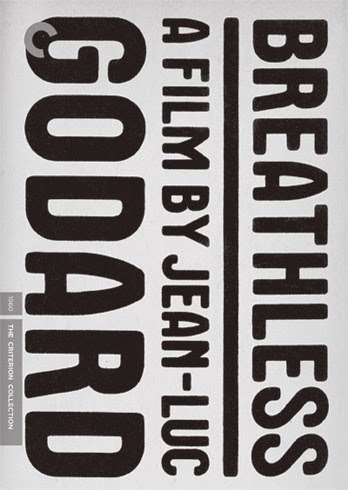 The Breathless booklet includes numerous archival interviews plus Truffaut’s treatment and Godard’s scenario of the original story. 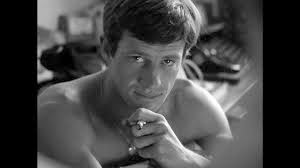 If you are like me and haven’t dipped into the French New Wave pool of films yet, Breathless is a great starting point. I was intrigued to see how long Michel’s charades were going to last and if Patricia would eventually catch onto his act. He tells her a story early on that would seem to the audience that he is outlining his whole plan, but even then she doesn’t catch on. It all culminates to an ending that I did not see coming. I'm glad I finally checked this one off my never ending "to-watch" list. However, more Godard and Truffaut films have now been added onto it. Good thing Criterion Collection offers a plethora of them in their library. Is It Worth Your Trip to the Movies? Anyone looking to educate themselves in groundbreaking cinema history, look no further. The Fab Four are seen hopping on a train after running away from hoards of screaming fans. 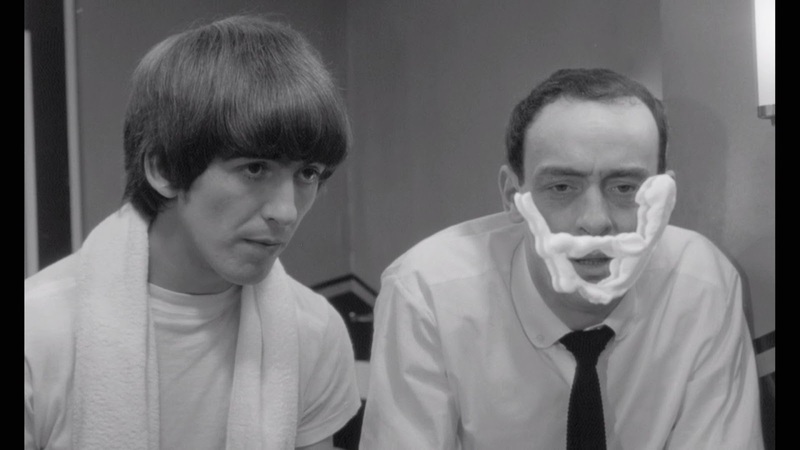 While John Lennon, Paul McCartney, George Harrison, and Ringo Starr are playing themselves in the film, you immediately get the feeling that this is an exaggerated look into the life of the Beatles as they are getting ready for a performance. They allow themselves to show the goofier sides of their personalities. Where else would you see John taking a bubble bath playing with bath toys? From the first main scene upon the train, their sense of comedic timing is already apparent. The humor is further enhanced with the introduction of Paul’s grandfather (Wilford Brambell) who travels with them. He causes all sorts of trouble for the boys by goofing around at a casino table, passing out photos with the boys’ forged signatures, and convincing Ringo to go outside to take in nature instead of reading his book. Ringo’s disappearance causes all sorts of anxiety with the theater’s tech crew as it happens right before their final rehearsal. “All My Loving”, “If I Fell”, “Can’t Buy Me Love”, “I Should Have Known Better” are just some of the songs featured throughout the film. 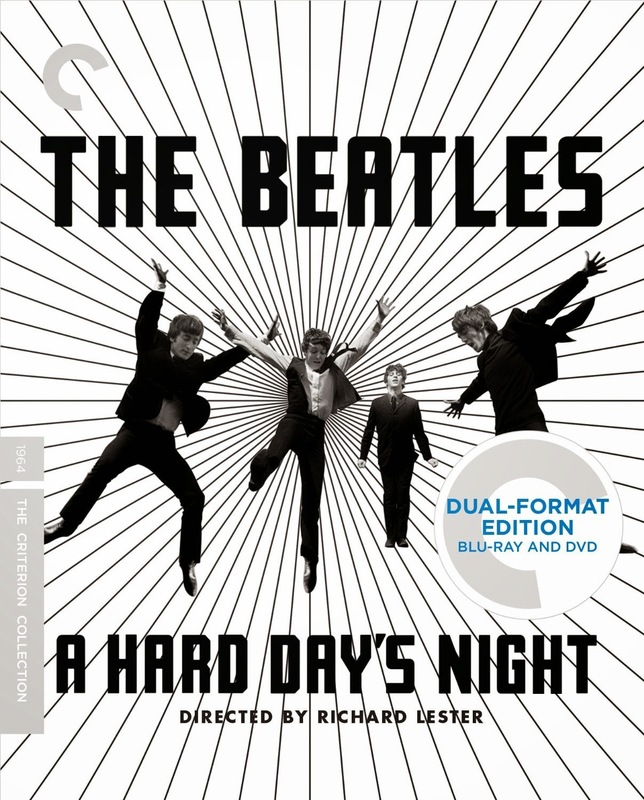 A Hard Day’s Night marks The Beatles’ first full length movie. United Artists record company wanted to capitalize on Beatlemania and brought the idea of doing a movie to them. They wanted to release a soundtrack to accompany the film, so the Beatles had to write at least six new songs for the movie. George Harrison has mentioned they had been given offers for movie appearances before but were never interested until the right project came along. They knew this was the right one after meeting with director Richard Lester. They wanted to do a comedy and knew he was the right choice after his work on “The Goon Show”. The film has that realistic documentary feel due to the nature of the story and how the film was conceived. 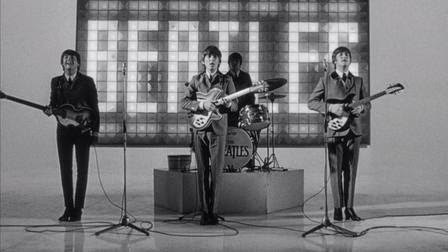 Even though the Beatles play themselves, everyone else in the film are all actors. Alun Owen was brought on as the screenwriter and spent time with the boys to capture the right tone, Liverpool idioms, and ways of speech. Despite the scenes feeling like quick improv moments, all of it was scripted out that way with the dialogue consisting of short little bits and quips. There was hesitation when filming first started as they had never acted before. Irish actor Wilford Brambell was cast to have a seasoned actor play off them in many of the scenes. It became apparent early on that the Fab Four felt quite comfortable on camera. They each bring a charming, charasmatic, and natural energy to the screen. There was a common goal that they wanted each one of the guys to be showcased individually and thus you'll notice that each Beatle has their scenes to shine outside of the group scenes. Their goal paid off as the film was a huge success and everyone got to know them as individuals instead of just seeing the group as a whole entity. Their movie went on to be nominated for two Academy Awards for Best Screenplay for Owen and Best Original Score for George Martin. 2014 marks the 50th Anniversary of the movie as it was released shortly after their appearance on The Ed Sullivan Show. 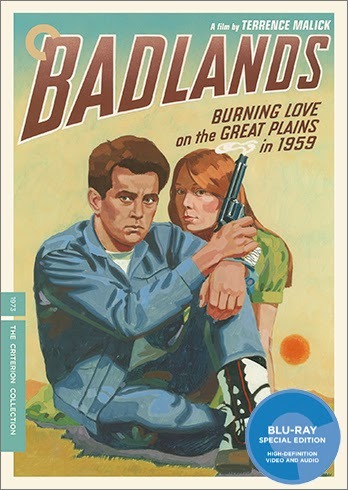 The movie is now available in a brand new three disc Blu-Ray/DVD edition thanks to The Criterion Collection. This is a must have for any Beatles fan. There are a wealth of special features that you can easily spend hours of your time diving into without even realizing it. There is a new 4K digital restoration approved by director Richard Lester with three different audio options. The picture transfer is so clear and crisp you can see the sweat glistening off of John’s face during the final concert scene. There are numerous behind the scenes documentaries. 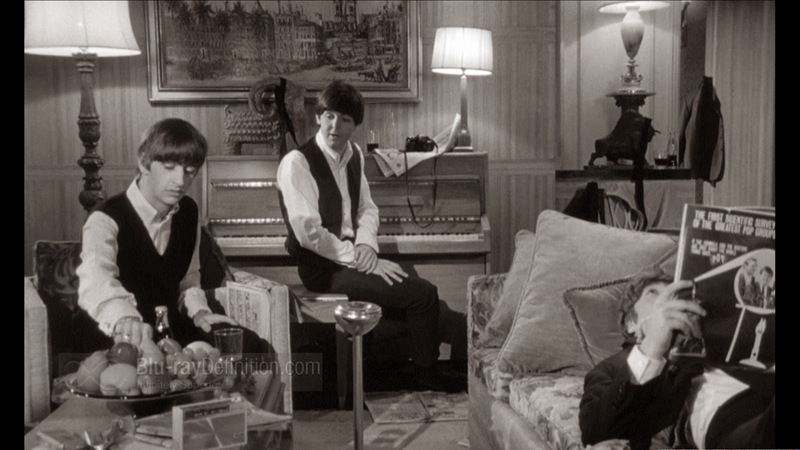 You Can’t Do That: The Making of “A Hard Day’s Night” from 1994 celebrates the films 30th anniversary and is narrated by Phil Collins and includes interviews with Lester, Owen, outtake scenes, and a musical number cut from the final edit. The 2002 documentary Things They Said Today features Lester, George Martin, and other filmmakers. There is a brand new interview for this Criterion Collection edition with author Mark Lewisohn conducted in February 2014 discussing the Beatles career prior to the film. We hear from the Beatles themselves in a 1964 audio interview discussing how the film came to be and writing the title track. Plus, we get the collectable booklet with an essay by critic Howard Hampton and excerpts from a 1970 interview with Richard Lester. It’s easy to see why this film has a lasting legacy. There is a timeless feeling to it for Beatles fans of old and new. I consider myself a big fan of theirs, so this was a joyful fun time in every way. Even if you’ve heard these songs a hundred times before, they never get old. 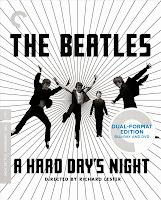 A Hard Day’s Night would also make the perfect starting point for any young moviegoer or musician who isn't as familiar with the group. Not only do we get their classic music, but we get to see the silly sides of their personalities. Is It Worth Your Trip to the Movies? A pure delight for fans of The Beatles. With its opening narration in that voice you would hear on a radio show mystery and the score by Gerald Fried played against the credits, you already know something big is going to happen. This is not going to be a light, fun day at the races. It’s Saturday afternoon in September and the place is hopping with people placing bets on their favorite horse, grabbing drinks, and watching the race. 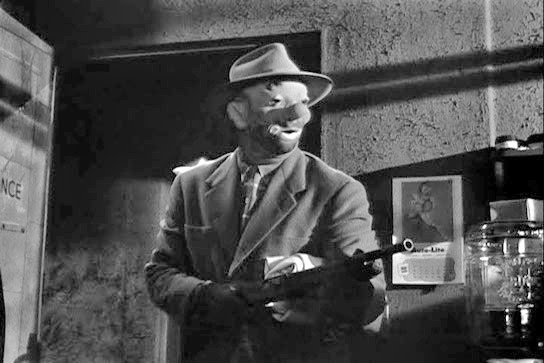 A gang of individuals including Mike the bartender, police officer Randy, Nikki the shooter, George the window teller, and ring leader Johnny Clay (Hayden) have a scheme set in motion that must go according to plan. Early on, the film introduces the audience to some of the backstories involving our characters. One of the more vital introductions is with George (Cook) and Sherry Peatty (Windsor) and their broken marriage. Sherry is quick on the tongue often talking back to her husband. She doesn’t really seem to think much of him. He claims he’s going to get rich, and she basically laughs at him. George’s loose lips get him into trouble when he is reprimanded by the gang after Sherry is found snooping around the secret meeting location. He debates about leaving the mission after he realizes the situation he’s gotten himself into, but Sherry informs him that if he really loves her he should stay all in. It turns out that she is a bit of a floozy as she also happens to be seeing Val (Edwards) on the side. When she steps out to see Val, she reveals George’s elaborate plan to get rich. 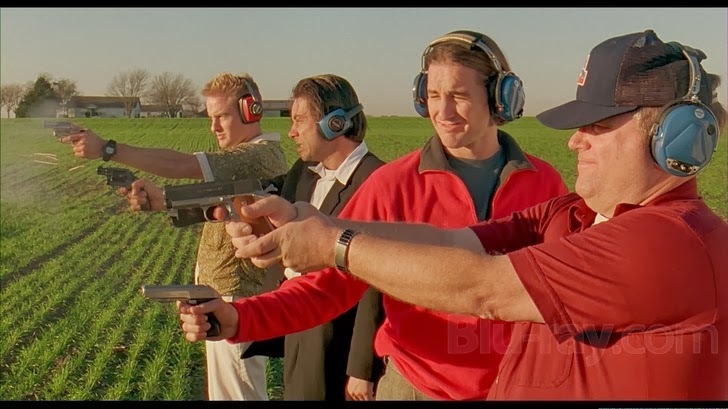 George and his boys plan on robbing the race track of two million dollars. I feel like whenever you think about Kubrick’s work, his earlier films like The Killing, Paths of Glory, and Killer’s Kiss rarely get mentioned as The Shining, 2001: A Space Odyssey and A Clockwork Orange are his more popular and universally seen films. I always love going back to a director’s earlier works to see how they started and to analyze the scope of their career. 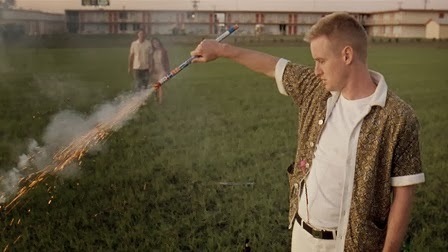 I have done that a couple of times now in My Criterion Collection with my reviews of Wes Anderson’s Bottle Rocket and Terrence Malick’s Badlands. I encourage any movie lover to dissect a director’s career like that as it’s always fascinating watching their growth. Even as a young director, Kubrick seems to be just as particular about his way of working as he was later on in life. According to one of the special features, cinematographer Lucien Ballard HATED working with him. 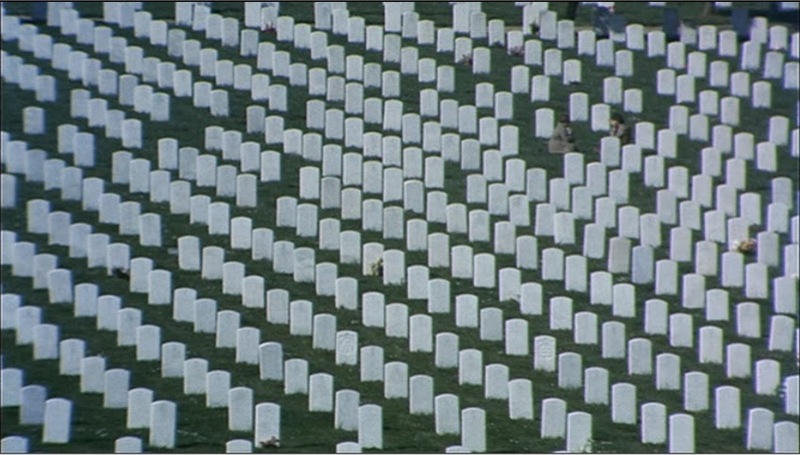 Kubrick had previously worked as the cinematographer on his own films but wasn’t able to for this one. They frequently disagreed on lighting and camera choices. I actually really enjoy the darkly lit interiors and the use of lamps and lights to create minimal lighting effects. A heist at the tracks may seem like a simple premise on the outside, but there are a few twists and shocking moments that keep the audience guessing. 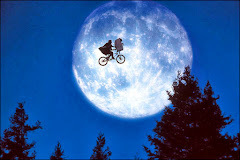 This film easily could have been told in a very conventional sense, but why would Kubrick take that route. He wrote the screenplay with additional dialogue added by Jim Thompson and is based on the book “Clean Break” by Lionel White. They take a non-linear approach using time stamps like “At 11:30 that morning” and “At 2:00 that afternoon” to keep the audience in check. Originally this received negative reaction from various screenings. Kubrick obliged and tried re-cutting it into a straight timeline, but later switched it back again. When it comes to the heist, Kubrick replays the mission from numerous angles and character’s perspectives depending on how each person is involved in it. There are a few special features on the Criterion Blu-Ray release worth noting. There is a new interview conducted specifically for Criterion Collection with producer James B. Harris about his working relationship with Kubrick and the making of the film. He highlights that he gave the idea to Kubrick and suggested it to be their next movie. The studio only gave them $200,000 even though the budget was $330,000. Harris acquired the rest of the money in order to get it made. 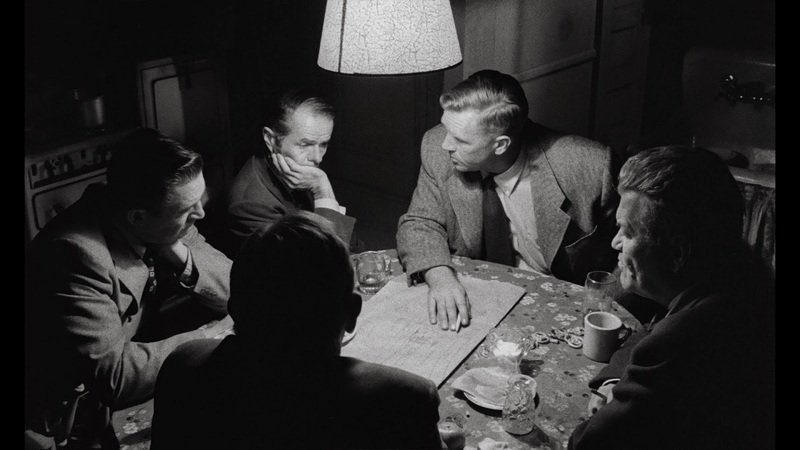 There is a lengthy interview with Sterling Hayden from a French television series where he discusses his collaboration with Kubrick. They would later collaborate on Dr. Strangelove or: How I Learned to Stop Worrying and Love the Bomb. As always, we get a new digital restoration of the film, with an uncompressed monaural soundtrack. There are essays by film historian Haden Guest and an interview with actress Marie Windsor. Plus as a bonus, Kubrick’s earlier work Killer’s Kiss is also featured in its entirety here with a new high definition digital transfer. At the age of twenty-eight, it is quite clear that he had a vision, style, and tenacity to do exactly what he wanted to do. If horse racing is a foreign concept to you, don’t let that stop you from enjoying this film with classic noir characters. Kubrick was correct in wanting character actors for these types of roles. 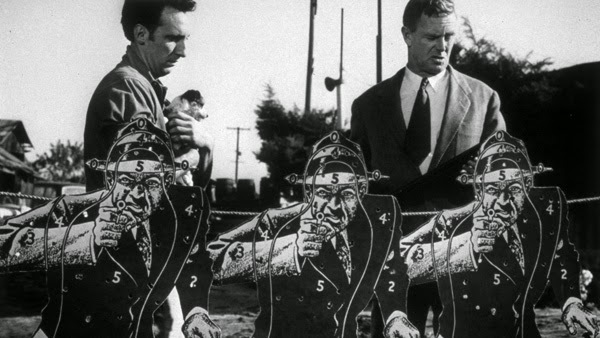 Sterling Hayden, Marie Windsor, and Elisha Cook Jr are all fantastic. 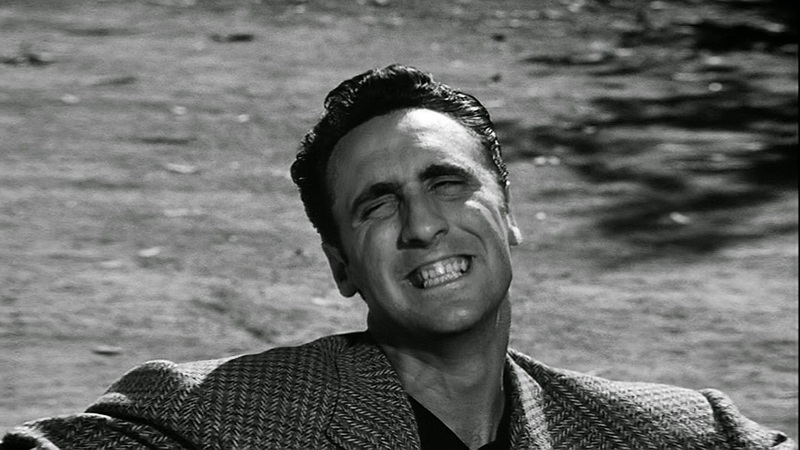 In a smaller role, Timothy Carey is sleazy and creepy as Nikki the shooter. The film is only eighty-four minutes and moves along swiftly as you wonder if they will pull off this heist. It all culminates to an ending that I did not see coming but is the cherry on top of an already delightfully fun movie. Is it worth your trip to the movies? 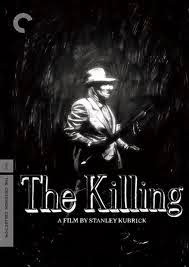 If you are a fan of Kubrick or film noir, you will get sheer joy out of The Killing. Harold: Oh, I don’t drink. Maude: That’s okay. It’s organic. Age is but a number when it comes to this quirky and special relationship. We know that when we see Harold (Cort) hanging himself at the beginning of the movie, he will survive or else we wouldn’t have the rest of the movie. His hanging is part of a series where he likes to stage his bloody suicide scenes. It is slightly disturbing, yet funny at the same time. His mother (Pickles) describes him as a “delicate child”. She is overbearing and completely out of touch with her son. She is always trying to get him to join the military and brings home potential girlfriends for him. It should probably come as no surprise for someone that is fascinated with death that he likes to attend funerals and burials. At one particular burial, he sees Maude (Gordon) lurking by a tree in the background. They meet again at another funeral where introductions are made and their lives are forever changed. They naturally don’t know the deceased at either funeral. Maude is this seventy-nine year old earthy, eccentric artist living in an old train car that she has filled with her art projects and memorabilia. She also likes to steal people’s cars. 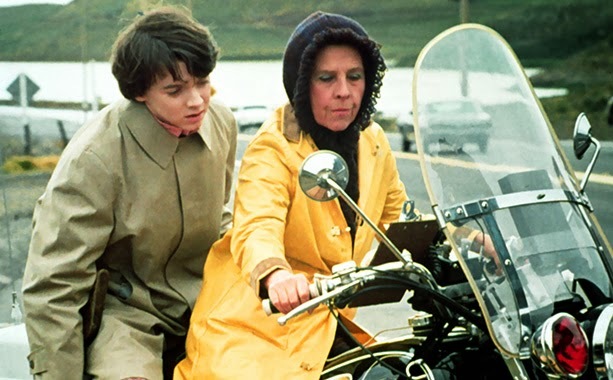 A friendship and bond between Harold and Maude ensues leading to an eventual romance. Their antics and adventures are downright hysterical especially their encounters with members of the police. 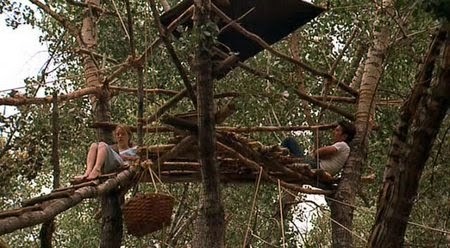 From the beginning when we see Harold’s staged hanging, you immediately get the tone of the film that is set in place. There is a dark and twisted sense of humor that resides over Harold. Is it him seeking attention from his mother? Is it a rebellion to the proper and sophisticated lifestyle he is brought up in? 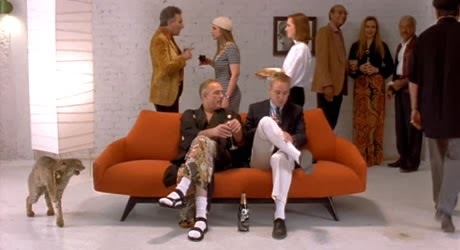 Screenwriter Colin Higgins and director Hal Ashby have taken this idea of Harold’s and executed it perfectly. While at first sight they are somewhat shocking, the nonchalant reaction shots from his mother make them quite funny. There are eight suicide scenes for Harold throughout the movie and each one of them is priceless, especially when one of his potential girlfriends is an actress and plays along with it thinking he is staging a bit from “Romeo and Juliet”. He may have an obsession of death, but the film never feels morose or depressing. As a juxtaposition to that is Maude, who at the age of seventy-nine, lives life to the fullest. On the outside, one could easily think of her as some crazy old lady that has lost it. She is quite the opposite of that. Maude knows perfectly well that she is evading the cops or living in a train car and doesn’t care. She will beat to her own drum however she sees fit. She lives this carefree life full of art, music, and nature. Opposites do attract as she opens Harold up to a whole different way of looking at life. There is something so sweet and genuine about the evolution of their friendship that it never feels unrealistic or creepy that this young man starts falling for someone that could be his grandmother. Maude is brought to life by the brilliant Ruth Gordon, who had recently won the Best Supporting Actress Oscar for her work in Rosemary’s Baby. That film will be featured later in my Criterion series. She brings forth a vitality and effervescence to Maude that you fall in love with as well. 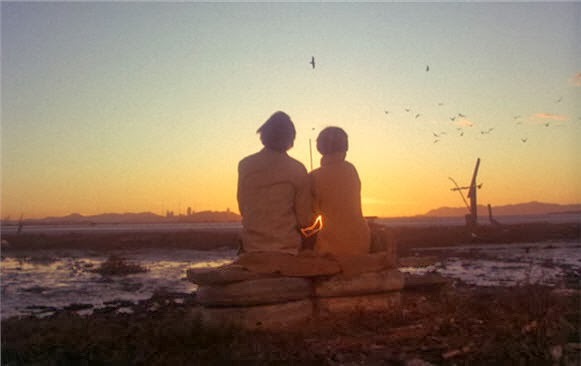 It is hard to not soak in all of the rich 1970s elements captured by cinematographer John Alonzo. 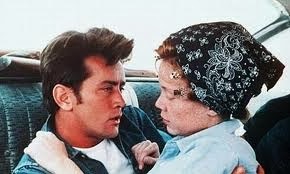 Between the costumes and Cat Stevens music, the film is definitely a snapshot from that fabulous decade of cinema. In one of the special features, Cat Stevens discusses how some of the songs that were used were only demos at the time and weren’t fully produced or finished until they wanted to release a soundtrack. Despite the fact it is very much a product of its time, there is a timeless quality to it. It never feels dated or past its prime. 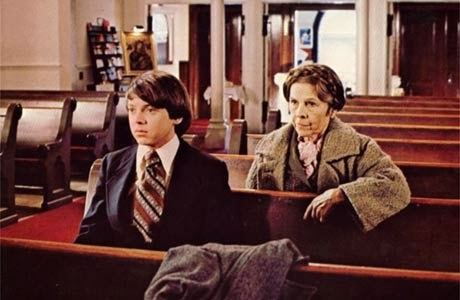 Harold and Maude has had a lasting impression on movie going audiences. It has had numerous midnight screenings over the years and definitely has a cult following. The prestigious American Film Institute has recognized it four times in their 100 Years lists, including being #45 on 100 Laughs, #69 on 100 Passions, and #89 on 100 Cheers. 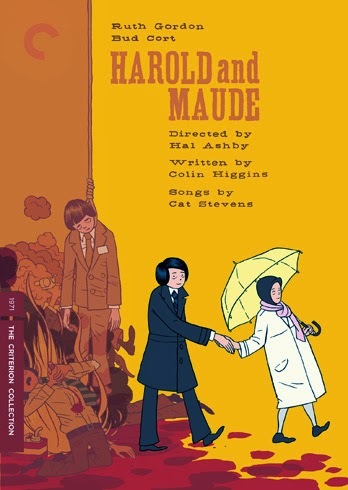 The film was released on Criterion Collection Blu-Ray and DVD in 2012 with a variety of special features including: a new digital restoration and uncompressed monaural soundtrack, new commentary by Hal Ashby biographer Nick Dawson and producer Charles B. Mulvehill, audio excerpts with Ashby and Colin Higgins, a new interview with Cat Stevens, and a booklet with interview excerpts with Bud Cort and cinematographer John Alonzo, and an essay with film critic Matt Zoller Seitz. Compared to other Criterion releases, the special features are a bit sparse and most of them are taken from when the film was released. 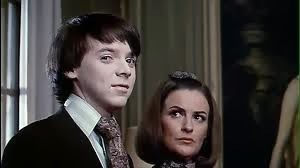 These two are one of favorite screen couples of all time thanks to the witty script by Colin Higgins and the sublime performances by Bud Cort and Ruth Gordon. They are an unconventional couple to say the least, but it never feels disturbing. The film has a whole takes its time to let this relationship unfold. Movie audiences of today may find the film slow as there isn't a lot of action or fast paced scenes to keep up with the short attention spans of today. 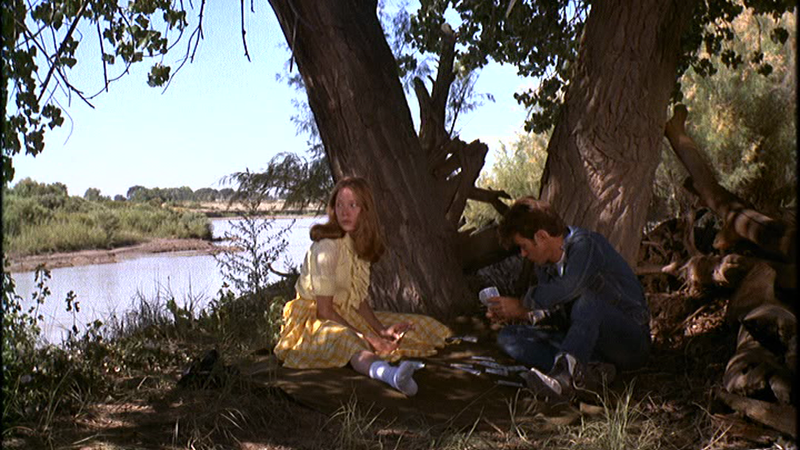 This film, along with many other films from the '70s, are all about the evolution of the characters. Here, we go on these little adventures Maude takes Harold on and see him open up in a whole new light. It is sweet, delicate, odd, and timeless. I first saw it years ago and just watched it again for the first time since then. I couldn't help but think that it would be a perfect movie for a rainy day or when you are sick at home and need something to lift your spirits. I am sure we all have those classic films that we are too embarrassed to admit that we have not seen. You pretend like you have seen them as you have seen clips or you know some infamous quote. 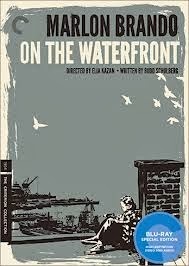 One of those films for me was On the Waterfront by Elia Kazan starring the one and only Marlon Brando. Tension between sides is mounting as the crime on the waterfront is escalating. 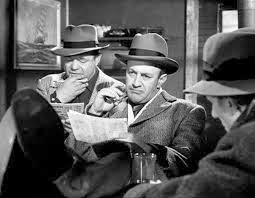 Murders are occurring at the hands of mob boss Johnny Friendly (Cobb) but the waterfront longshoremen play "D&D" (deaf and dumb) to what is happening. No one wants to become a rat in the eyes of the mob. The death of Joey Doyle (Wagner) becomes the tipping point to uncovering the truth behind all of this. Word had traveled that he started cooperating with the cops about the recent crimes happening at the docks. All eyes are on Terry Malloy (Brando) regarding the death of Joey as it is unclear of who from Friendly's gang killed him by pushing him off the top of the building. Terry's reputation is linked and connected to that of his brother Charley "The Gent"(Steiger) who is working closely with Johnny Friendly. He befriends Joey's sister Edie (Saint) who will stop at nothing to get to the bottom of her brother's death. She is also the only one who seems to see the real side of Terry, not the dockside reptuation his name carries. 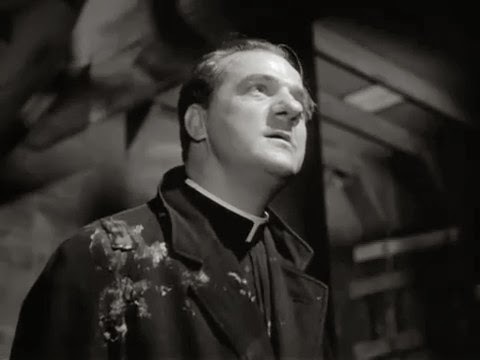 With the guidance of Edie and Father Barry (Malden), Terry's conscience eats away at him to testify and do the right thing. It is a decision that could save his character and beliefs about himself but will destroy the already broken relationship he has with his brother. It is hard to imagine this film without the masterful work done by Marlon Brando, yet he was not keen on taking the part. Budd Schulberg's script was sent to him and returned without Brando opening it. He was furious with Kazan over his testimony at the House Committee on Un-American Activities. He had already turned in a legendary performance under Kazan's direction in A Streetcar Named Desire. Frank Sinatra was approached for the part, but producer Sam Spiegel decided Brando was the better choice. Thank God he changed his mind as this role would have been quite different with Sinatra in it over Brando. It was only a year later when the two of them sang their way through Guys and Dolls. It is no secret after watching this why Brando is considered one of the greatest. Moviegoers have become used to the authentic and realism approach to the "Method" style of acting Brando was famous for using in his work. At the time, it was considered an all-new approach to film acting. Kazan and Brando were coming off their theater work at the Actor's Studio and it shifted the tone of film acting afterwards. Karl Malden and Rod Steiger were also members of the Actor's Studio. 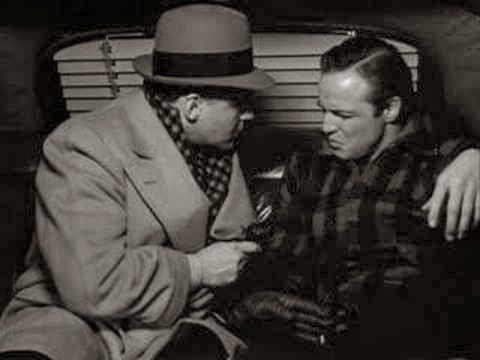 The culminating point of the film comes down to the infamous scene between two brothers as Brando and Steiger confront each other in the taxi. You may know it as the "I could have been a contender!" scene. Watching these two go back and forth at this pivotal point in their relationship is a masterclass in acting. Making her film debut is Eva Marie Saint who is raw and electrifying. It is hard to take your eyes off her scenes with Brando. She completely holds her own against him. I mentioned Kazan's testimony at the House Committee on Un-American Activities earlier as those events happened in the years prior to this being made. Kazan had exposed many members of Hollywood of being a part of the Communist party who were then blacklisted from the business. There are clear parallels between Terry Malloy's testimony in the film and Kazan's real life testimony. Theories go back and forth on if that was the clear idea and commentary Kazan had with making the film. Screenwriter Budd Schulberg stated that it was not intentional that way when he wrote his script, but Kazan states that this film was his response to why he did what he did. Hollywood forever stayed divided on their respect toward Kazan and his work throughout the rest of his career. His acceptance of an honorary Oscar in 1999 was very controversial despite the decades that had passed since his testimony. He states, "The motion pictures I have made and the plays I have chosen to direct represent my convictions." 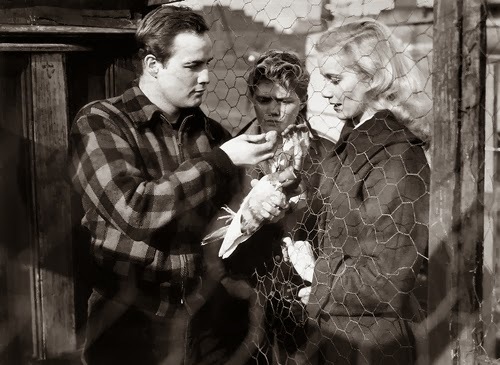 On the Waterfront went on to gain critical and audience acclaim and went on to win eight Academy Awards out of twelve nominations. The film won for Best Picture, Director, Actor (Brando), Supporting Actress (Saint), Screenplay (Schulberg), Cinemtography, Art Direction, and Editing. Malden, Cobb, Steiger, and composer Leonard Bernstein (West Side Story!) were nominated for their work as well. 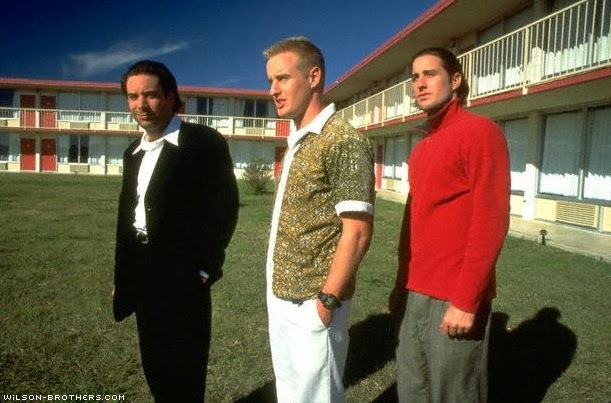 The film ranked #8 on the AFI's Top 100 films of all time list back in 1997. It is also on their 100 Cheers, 100 Heroes and Villains, 100 Scores, and 100 Quotes lists. The Criterion Collection two disc blu-ray special edition boasts a plethora of extras for anyone that loves their film history. There is an all new 4K digital transfer with uncompressed monaural soundtrack. It has three different aspect ratios: 1.66:1, 1.85:1, and 1.33:1. Audio commentary with Richard Schickel and Jeff Young. A conversation between Martin Scorsese and critic Kent Jones. It is always fun to listen to Scorsese talk about film history as he seems so passionate about it and has this unbelievable wealth of knowledge about so many films. There are visual essays on Leonard Bernstein's score and the aspect ratio. Plus, numerous documentaries and interviews with cast and crew and a look at some of the real-life people and places the film is loosely based on. 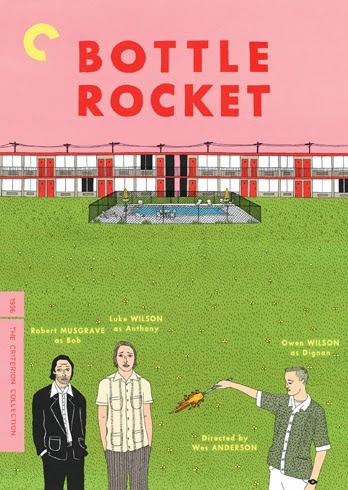 I have been a big fan of what The Criterion Collection has to offer for many years. They do an excellent job at restoring the old classics and bringing art house films, independents, foreign films and contemporaries films to a wider audience. Tune in each month as I highlight a different film in their collection.